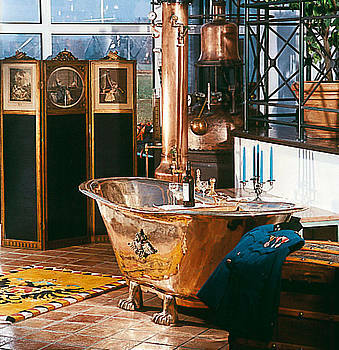 With the Haslauer King’s bath tub your guests go on a journey back to the time of kings and emperors. 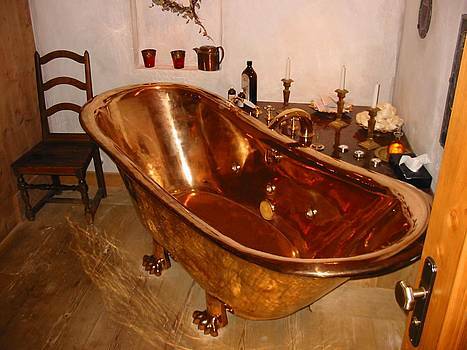 This show-piece is an elaborate tub made of massive bell bronze. 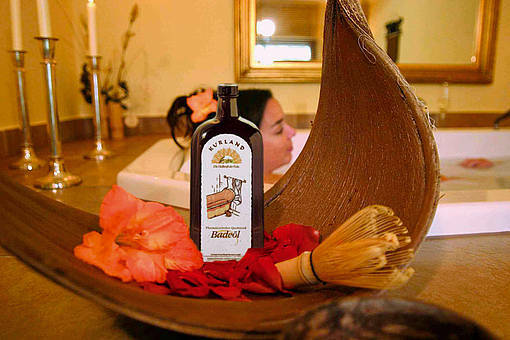 In a bathing ceremony of this quality, you will certainly not find any common bath additives. In fact, specially selected, delicate, dried herbs, such as lavender, camomile and roses or special salt-oil compositions, are added. 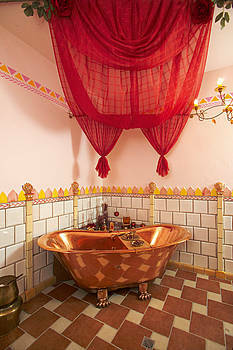 The nostalgic style, the size and the special shape of the tub invite to enjoy a sensual bath “à deux”. 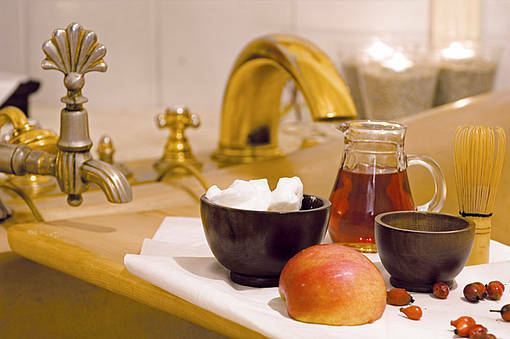 As well as the King’s tub we can supply bath tubs in any design and size, suiting your wellness area and your preferences.